Mule and Reaktiv Studios worked with Cornell's alumni office to redesign a site that speaks to the diverse alumni. 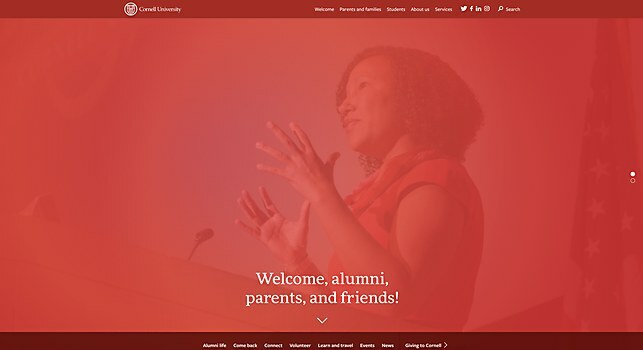 Background: We worked with the Cornell office of Alumni Affairs and Development (AAD) to redesign its ecosystem and provide a digital platform to build and strengthen relationships with diverse communities of the alumni, family, friends, donors and volunteers. 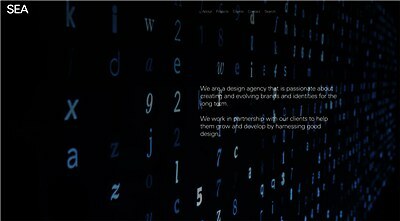 We also worked with Reaktiv Studios for WordPress implementation. Highlights: The photography highlights community and the colors are bold and optimistic. 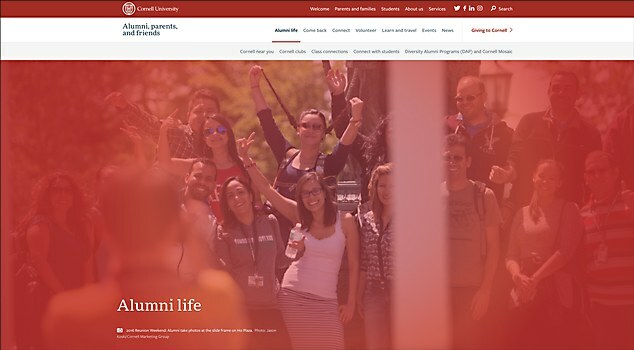 Building plenty of room into the system for community stories and profiles establishes connections across the Cornell alumni’s wide swath of interests and activities. We also built a library of modular patterns to give them a flexible system that could grow with their understanding of their communities. 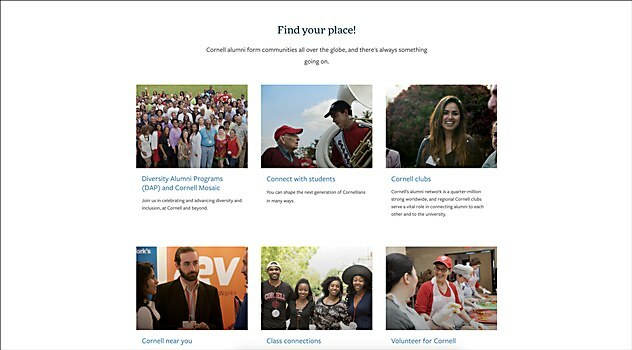 Challenges: Since Cornell’s alumni body is increasingly diverse, the site needed to provide relevant content while also leaving room for alumni to experience something new about Cornell on each visit. Designing an ecosystem that speaks to such varied interests while providing a cohesive experience and creating room for discovery was a rewarding challenge! Navigation structure: Cornell students are only there for a few years, but spend a lifetime as alumni. Throughout that lifetime, what they look for in a relationship with their alma mater changes. As we developed the navigation structure, we thought about pathways that would matter to alumni at different phases of their life. 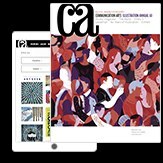 This led us to make an intention-based content organization system that took into account student, recent-graduate, midlife and senior life stages. Anything new: For this project, we used Pattern Lab to build out the design system. Pattern Lab helped our developers bring the UI to life in a way that was modular and extensible and its pattern documentation tools also made it easier for our designers to jump in and make notes for our backend development partners. 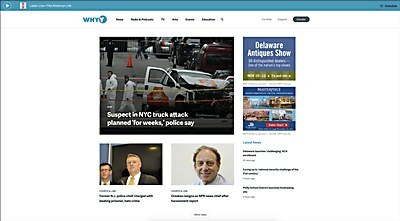 Bluecadet worked with WHYY to create a new site that defied previous boundaries. 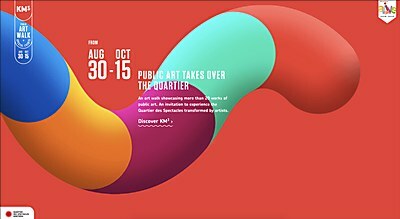 lg2's site for Quartier des spectacles immerses the user into the world of urban art. SEA made its new site plain and simple—the way it should be.